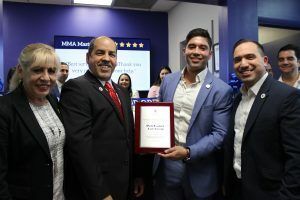 I congratulate you on being featured as “Best of Doral™”. This acknowledgement is presented to amazing businesses like yours in recognition of consistently high standards of excellence and contribution to the Community! 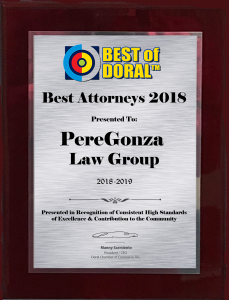 You can order a personalized plaque displaying your designation as “Best of Doral™” at the link below. This elegant plaque is perfect to hang in your office for customers and prospects to view. You deserve to be recognized for your excellence in business and community! I am really happy for you and hope that you can seize this moment and make your success even more memorable! I look forward to being an important part of your continued success! Please let me know how I can be of service to you.